Household bleach can be used to discharge dyed fabric. Removing the color from a fabric is called discharging. Some fabrics can be discharged, or bleached, with household chemicals, but results may vary. If you need to bleach a tan dress white, use great care, experiment gently and do not expect perfect results. Discharging, or bleaching, fabric is not an exact science. Check the fabric of your tan dress before proceeding. This bleaching process works best on natural fibers such as cotton, linen and rayon. If the fabric has any polyester in it, the dye will not come out. If your tan dress is cotton, it has a better chance of changing to white. The supplies you need are widely available. Use four 5-gallon plastic buckets for this project. Trash bags, rubber gloves, household bleach, paper towels and old clothes are other supplies necessary for discharging the dye from your tan dress. Buy a selection of bleaches because different brands may give you varying results. The old clothes are for you to wear while discharging your dress. Also, purchase a bleach-neutralizing chemical to stop the bleaching process once you have your desired results. It can be found at hardware stores and some grocery stores, or you can substitute it for vinegar. Label your buckets, two for water, one for vinegar or the bleach-neutralizing chemical and one for bleach. This project is best done outdoors, with good ventilation, to prevent bleaching carpets or rugs. Place your large trash bags open on the ground and put the buckets onto the trash bags. Pour water and vinegar or bleach-neutralizing chemical into the appropriate buckets. 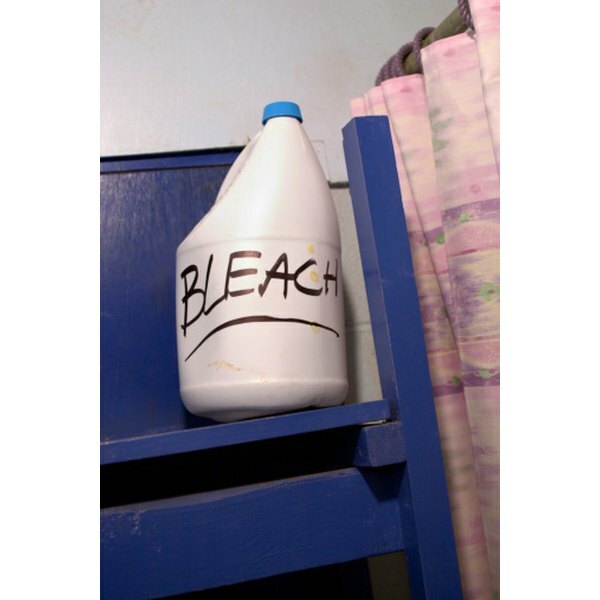 Mix one part bleach to four or five parts water in the bleach bucket. Test a part of the dress first to see if the fabric will bleach. Then, dip the entire dress into the bleach solution for a few minutes. Remove and place into the first water bucket. Go slowly with this process to prevent damage to the fabric. Saturate the tan dress in the bleach solution again and soak in the water again. 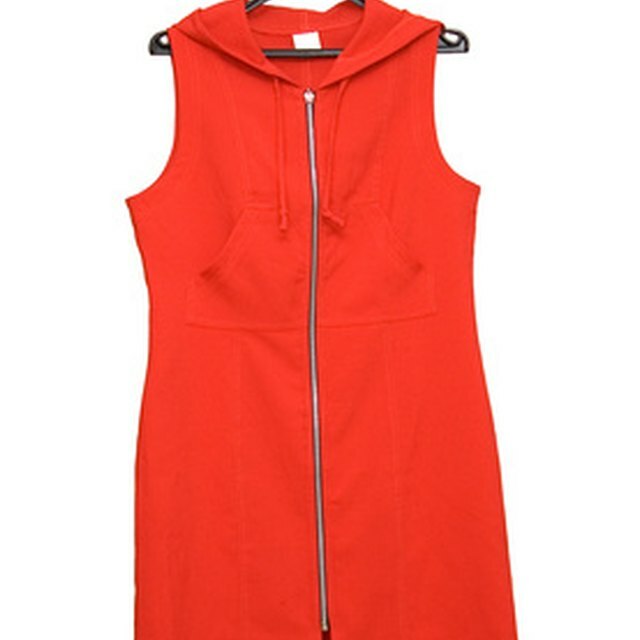 Once you are satisfied with the discharging, or bleaching, of the tan dress. Place it in the vinegar or other bleach-neutralizing chemical for about 5 minutes. Remove it and then place it into the other water bucket not yet used. You will want to wash this dress in gentle laundry soap in the washing machine, but do not put the dress into the dryer. It should be air-dried to prevent any damage to the fabric. If you are not achieving the results you want, try a different brand of bleach or mix a stronger solution of bleach and water. Test the fabric first before placing the entire dress into the stronger solution.